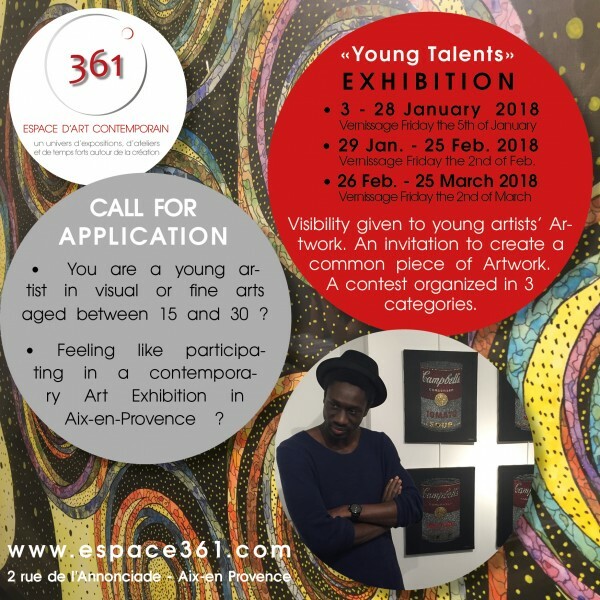 infos: You are a young artist in visual or fine arts aged between 15 and 30 ? 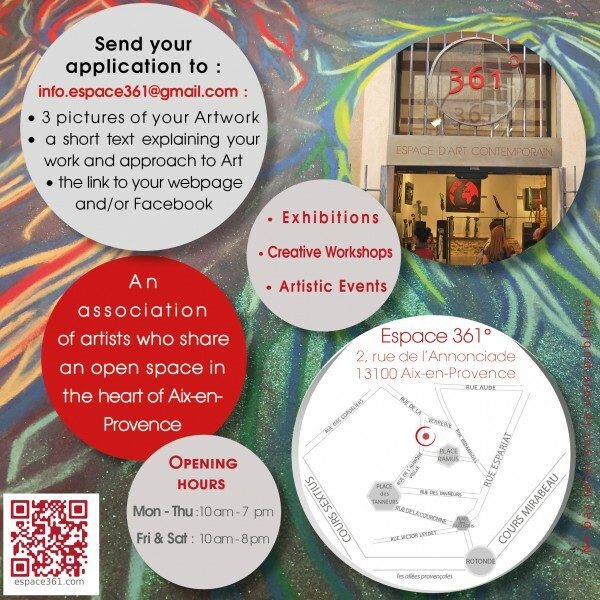 Feeling like participating in a contemporary Art Exhibition in Aix-en-Provence ? What is this exhibition about more precisely ? It is an invitation to take part in a 3 weeks’ visual and fine Arts exhibition in a gallery with Artists from France and other countries. The first edition took place in January and February 2016 and gathered 35 young artists aged between 15 and 30 from Europe, North America, Africa and Central Asia. In 2018, an exhibition is programmed in January, another in February and the last in March. And, as in 2017, we will organize a contest every month that will reward 3 pieces of Artwork in 3 categories. 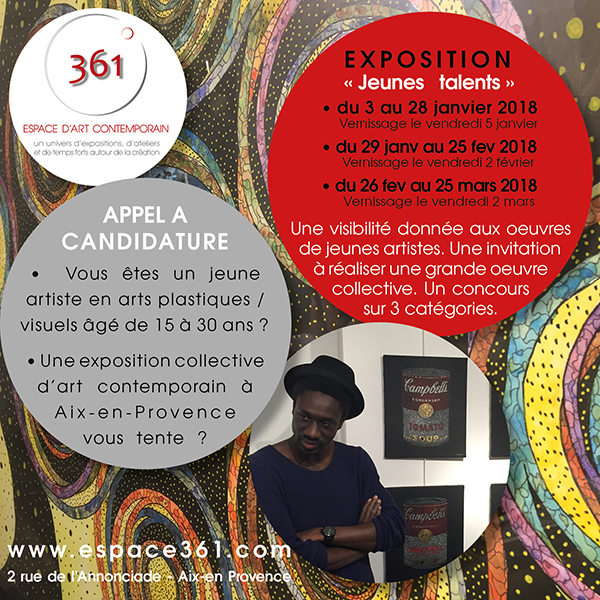 One of the missions of 361° – Contemporary Art Space is to support young talents by guiding them in their artistic approach. What are the conditions to apply ? – it is not an obligation to travel to Aix-en-Provence, it depends on the possibilities and availability of each participant : the artwork can be sent to the gallery which will send it back at the end of the exhibition (at the charge of the participant). – to become a member of the association (25€ for the year 2018) and to contribute to the operating costs of the association (65€). (Français) Exposition [Hors les Murs] Stéphane Blécon et Elie M.
(Français) Une belle reconnaissance ! 2019 © Espace 361°. Credits and legal notices.